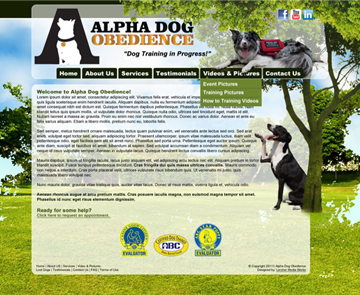 ""As a small business owner, it's easy to get overwhelmed marketing my dog training business alone. I found Lercher Media Works, viewed their website, reviews, and websites they created. Instantly, I knew this was the company I wanted to invest in to build my website. I had a clear image in my mind of what I wanted my website to look and function like. Greg absorbed my wishes like a sponge and made them better! He's a very professional gentleman and does everything he can to assist your business in thriving. Greg was quick to make any changes or alterations I asked for and maintained professionalism throughout despite me working him like a dog. I absolutely recommend Lercher Media Works to anyone seeking any of the services he offers. I can not say enough amazing things about this company! Thank you, Greg!" "